Paul was interviewed on KVGC-1340 AM/HomeTown Radio on Friday March 11th, at 08:30. 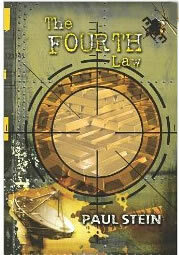 Tune in to hear the author share his insight into the creation of his book: The Fourth Law. Paul is returning to HomeTown Radio after many years on hiatus, having at one time been a featured guest ot the Radio Station while serving as a Calaveras County Supervisor. Paul’s feature was known as the Ramblin’ Supervisor, as Paul would call-in from wherever his travels as an elected official would take him. He once even broadcast from the Nation’s Capital.